Dr. Schwartz is a Clinical Assistant Professor of Medicine at the University of British Columbia. He is Medical Director of the Fraser Health Peritoneal Dialysis program and co-chair of the upcoming 17th congress of the International Society of Peritoneal Dialysis. Follow him @drdschwartzmd. I love NephMadness. 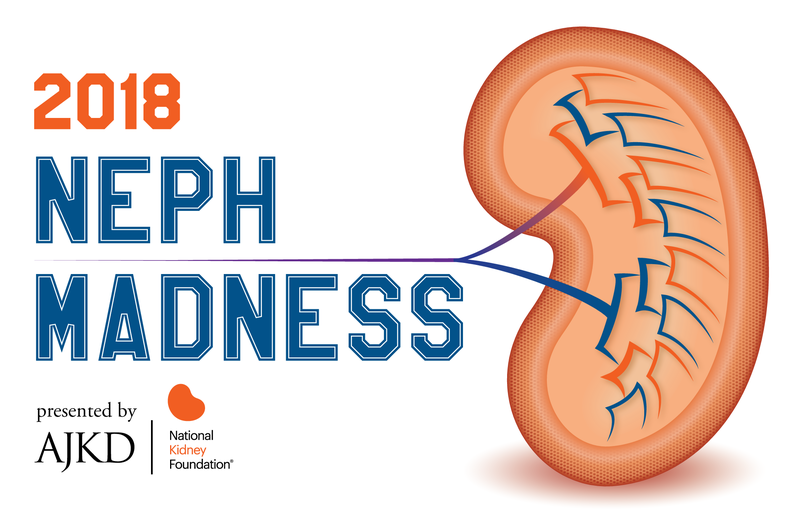 While it’s a fun way to explore the wide breadth of areas included in the practice of Nephrology, there are some very real-world implications. 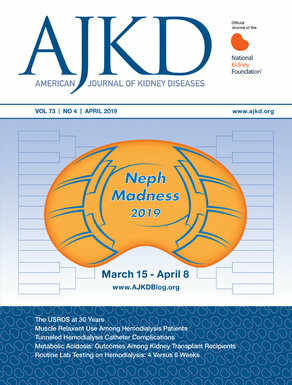 Although I’ve never been a top contender, each year I find it’s a great way to catch up on some areas of nephrology that I haven’t explored in a while (or ever). Going through the exercise of choosing where to focus our attention in clinical medicine is of real importance. In my role as medical director of a 300-patient peritoneal dialysis program in Canada, I frequently need to decide where to focus my attention. Whether it’s triaging a sick patient with peritonitis, deciding which areas of our program to invest CQI effort into, or deciding what services to fund, it’s clear that we need to prioritize in peritoneal dialysis. As co-chair of the upcoming ISPD meeting in Vancouver this May, we’ve had to make some really difficult choices while striving to put together an outstanding educational program. I also know that the challenge of knowledge translation is a hard problem to solve. Getting important information widely disseminated is important – this is the first step if we want to drive forward clinical practice and medical research. There’s only some much time in the day, and when I was asked to review the teams in the Peritoneal Dialysis region, I was excited but torn. Part of me wanted to subtly emphasize the topic I had picked – to give me a leg up in the competition! But I won’t do that. I’ll just be brutally honest. When comparing Volume Issues in PD versus Solute Issues in PD, it’s an easy pick for me. Listen, we all know that volume optimization is important. Yet so many of our patients are fluid overloaded. Why? Well, I worry that it’s because our clinical teams don’t have workflows in place to keep up with patient volume status, nor have we adequately trained (and retrained) our patients to work collaboratively with us to optimize their fluid status and blood pressure. While there are new technologies that might help, for example Arsh Jain’s CIHR-funded CONNECT study (2nd shameless plug >> come to Vancouver in May 2018 to hear him present an update at ISPD 2018), I suspect that simple changes to workflow and patient education could make a huge difference. How about solute control? The truth is that solute management is a trickier problem to solve. While we can (and should) actively adjust the PD prescription to optimize solute clearance, we need to be honest that for some patients on PD, there is a limit to how much solute clearance we can practically optimize. Due to issues of time on therapy or tolerance of higher exchange volumes, for some patients we may hit a limit to how well we can achieve adequate solute control. When patients are clearly struggling to achieve solute control, we should first look at optimizing the PD prescription, ensuring appropriate dietary interventions are in place and trying to get a timely kidney transplant. But we also need to know when to start planning for a transition to home hemodialysis. So when it comes to deciding between focusing efforts on volume management in PD and solute management in PD, we should definitely focus on volume management. What about Culture-Negative Peritonitis versus Catheter Dysfunction in PD? This one is a little harder. When reviewing the abstracts submitted for ISPD 2018, those related to peritonitis were overwhelmingly the most popular and numerous. So I have no doubt that any topic related to peritonitis is of interest to the nephrology community. Additionally, high culture-negative rates can be addressed through education and review of sample handling and culture techniques. At our center, a spike in culture-negative peritonitis was addressed by buying coffee and doughnuts for the microbiology team and doing a detailed review of how we handle our samples. As I’ve mentioned, I do love problems that can be addressed via simple/cheap CQI. But catheter dysfunction hits close to my heart. As someone who puts in PD catheters using a bedside technique, I always take it personally when one of my PD tubes doesn’t work. I also know that catheter dysfunction often leads to transitions to HD with a tunneled central venous catheters. So this is important. It’s important enough that we’ve dedicated an entire session to it at ISPD 2018. However, fixing the problem is difficult. It requires outstanding technique. Whether inserted via an interventional nephrologist, radiologist, or surgeon, PD catheter insertion is a labor of love that is highly technique- and operator-dependent. Good outcomes requires dedicated clinicians who care about the outcomes and who commit to improving technique over time. It also requires support of our radiology and surgical colleagues to intervene when things aren’t working. The truth is that it can be hard to get clinical buy-in from our colleagues, and even harder to get the resources allocated when competing for OR and IR time. But this can be achieved. It requires a lot of relationship-building and advocacy in your center, and these soft skills can be hard to execute on. While addressing catheter dysfunction is clearly a hard problem to tackle, who wants to only take on the easy things? As nephrologists, we love a good challenge. So I say, prioritize catheter dysfunction! Want to learn more about topics like these, and many more? It’s not too late to register for ISPD 2018, set to run from May 5-8, 2018 in beautiful Vancouver, Canada. – Post written by Daniel Schwartz. Follow him @drdschwartzmd.